In recent times, the humble safety pin has become a powerful symbol that the wearer will stand up for compassion, tolerance, and love. 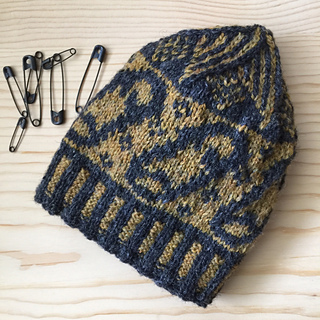 Nine safety pin motifs circle this Shetland-style beanie. The pattern repeats over 16 stitches and can be knit in two colors or more. 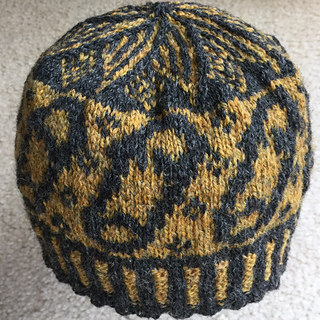 Designed for Shetland 2-ply jumper weight yarns, this hat measures approximately 7.5” (19 cm) high and 21” (53.5 cm) around.